Arearea by GAUGUIN, art wooden puzzle for children made by Puzzle Michele Wilson, W447-12. 12 pieces. Art wooden puzzle for children. 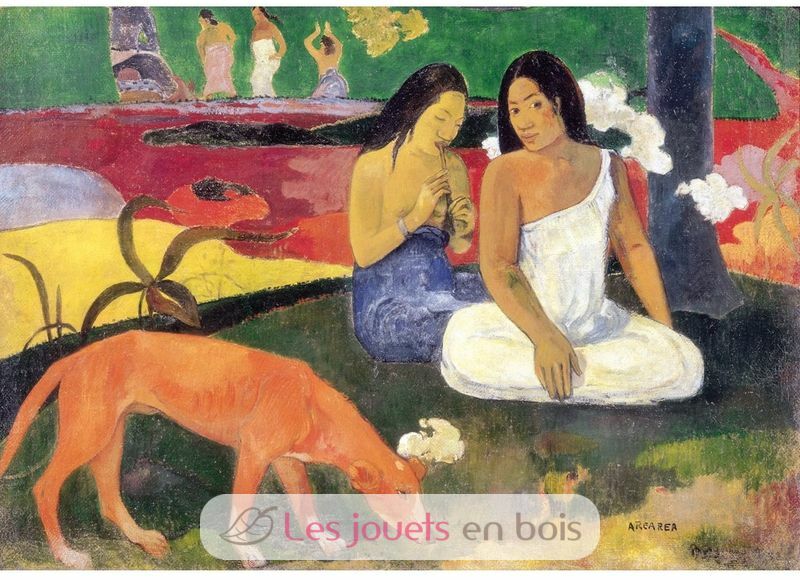 This picture was painted by Gauguin during his first trip to Tahiti in 1892. This wooden puzzle made ​​in France by the house Michèle Wilson comes in a transparent package with his educational record. Each puzzle is unique and is the result of the expertise and imagination of the craftsman: They are man-made rather than by machine. Not suitable for children under 36 months . 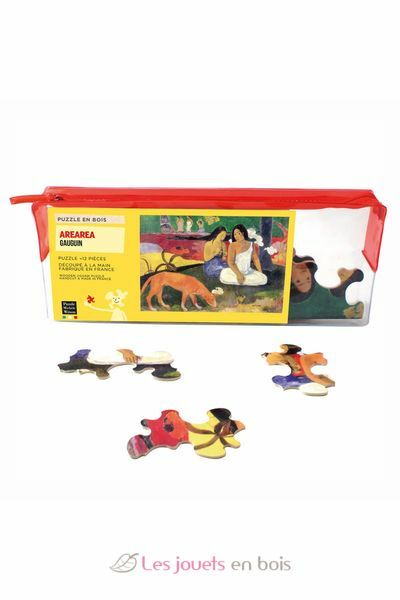 Arearea by GAUGUIN, art wooden puzzle for children made by Puzzle Michele Wilson, item number W447-12.